Earlier this month, Shawn Carter (a.k.a. Jay Z) bought lossless music-streaming service Tidal—as part of a $56 million acquisition of Swedish company Aspiro—and the platform already finds itself in a sea of activity. Taylor Swift has made her back catalog available to Tidal subscribers, each of whom currently pays $20 per month to access more than 25 million tracks in the 16-bit FLAC format at a bit rate of 1,411Kbps. Swift giving Tidal access to her catalog is definitely a big deal, but not surprising in the least. Her gripe with streaming is limited to ad-supported freemium services like Spotify, and her work continues to be available through a number of paid on-demand streaming platforms, including Rdio, Rhapsody, and Beats Music. Given how notoriously choosy Swift is about her streaming services, we can’t help but wonder if this is the Jay-Z effect. If a recent Showbiz411.com report is to be believed, then the rapper is definitely taking his new role as Tidal owner very seriously. 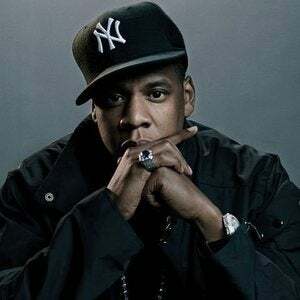 Jay-Z, it is claimed, met with the “music version of the Avengers” just prior to the Grammy’s to discuss how Tidal could be made into a bulwark against “crass commercialism.” In other words, the musicians want better compensation for their art. Those in attendance reportedly included Madonna, Kanye West, Daft Punk, Nikki Minaj, Coldplay’s Chris Martin, Jack White, Rihanna, and Jay Z’s wife Beyoncé. In other Tidal news, the service is now covered under T-Mobile’s Music Unlimited data exemption program, which means any music streamed through it won’t count against a subscriber’s data usage. It’s not clear, however, if the exemption also applies to the 75,000 music videos that are included in the Tidal subscription. If there is one music streaming service you don’t want eating into your data plan, it is Tidal. The service streams tracks at a bit rate of 1,411 Kbps—more than four times that of Spotify—so listening to a single album could easily consume your quota. You could, of course, stream using a lossy codec at much lower bitrates, but that defeats the whole purpose of paying that $10 premium over standard streaming services. Why this matters: It is still early days for Tidal—launched in the U.S. and UK in October 2014—but it boasts a rapidly expanding global footprint (31 countries and counting), a fairly large library, and now Jay Z’s face and clout. Now all it needs to do is convince enough people that the $10 premium it’s charging for CD-quality music streams is totally worth it. That’s, of course, easier said than done when most streaming service providers complain about having to compete with free. One thing that that's not clear at this point is if under its new management, Tidal will follow through with its plans to offer tracks encoded with Meridian Audio's extremely high-fidelity MQA technology. The two companies demonstrated the service successfully streaming MQA tracks on March 5, but the Jay-Z acquisition wasn't completed until March 10. We've reached out to both companies for comment and will let you know what we hear. With additional reporting from TechHive senior editor Michael Brown.